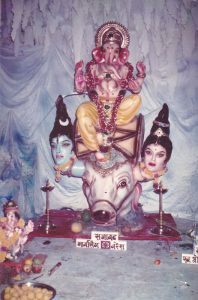 There are many temples of Lord Ganesha all over the world. But there are eight most important temples of Lord Ganesha, they are in Maharastra also know as Ashtavinayaka. These temples are Swyambhu ( self-originated) and have great mythological & pilgrimage importance. Each temple have its own legends.